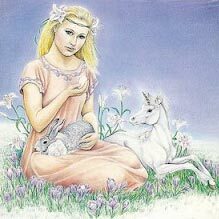 Eostre (pronounced East-ra) was the Anglo-Saxon goddess of the dawn, from whom “East” (where the sun rises) and “Easter” got its name. As the fertility goddess of the Northern European peoples, her legend was manipulated by the invading Romans (newly Christianized), they merged Eostre’s spring legend to coincide with the time of Christ’s resurrection. 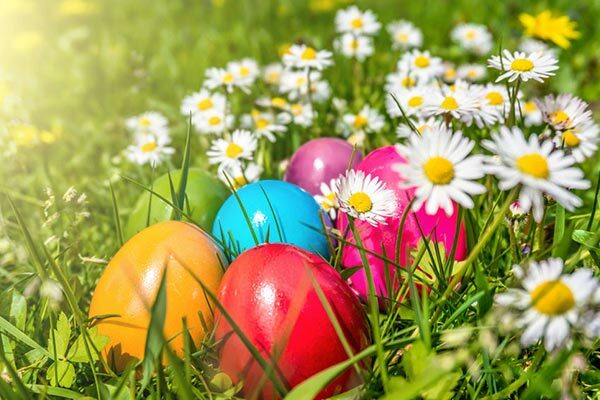 Goddess of fertility and new beginnings, this time of year presents an opportunity to embrace Eostre’s passion for new life and let our own lives take the new direction we have wanted for so long. She is also known as the Goddess Ostara, the maiden, in German mythology, and is celebrated when night and day are equal and balanced (the spring equinox for the northern hemisphere). Interestingly, the word “estrus” (referring to an animal in heat) is also derived from Eostra as her consort was a rabbit with an extraordinarily high libido! Sun, seedlings, preparing the soil, the balance of light and dark, celebrating new growth, rebirth, renewal.